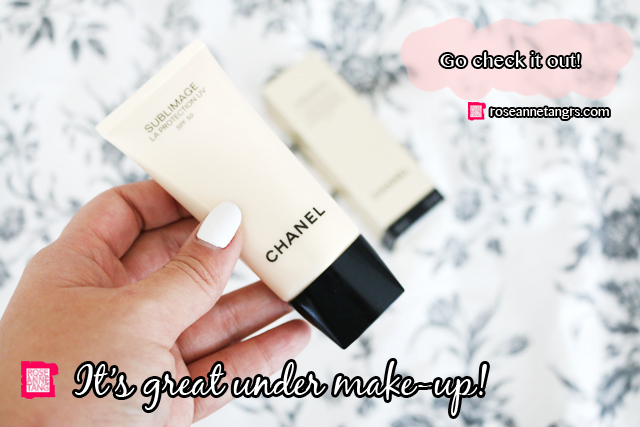 I’m always on the hunt for a good sunscreen that does well under make-up. 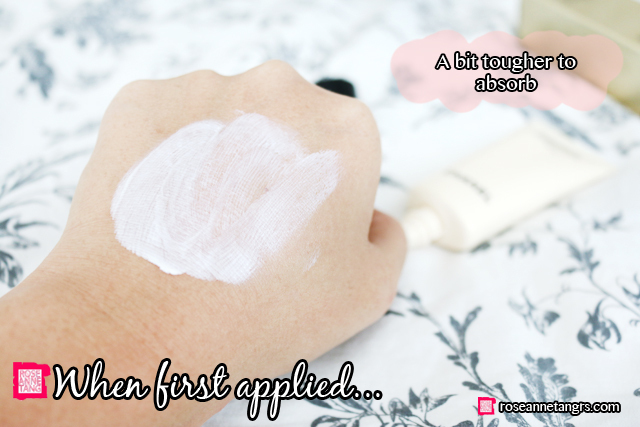 Most sunscreens out there leave a very oily residue and a white overcast when applied which often leaves your foundation slipping and sliding when you apply it over top. 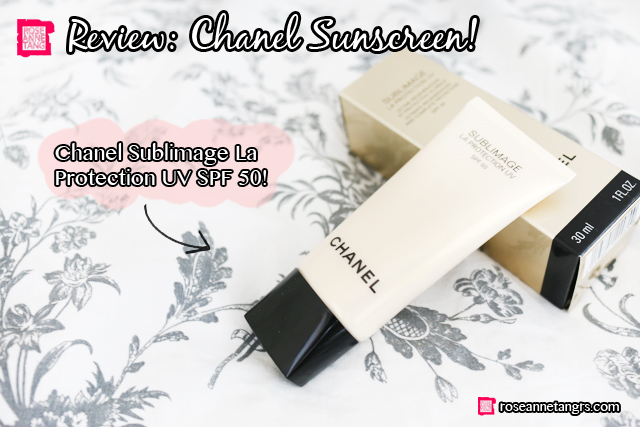 I’ve been using Chanel’s newest sunscreen lately – the Chanel Sublimage La Protection UV in SPF 50 and have been loving the light texture that almost disappears when applied. This sunscreen is great under make-up which I appreciate so here’s my review! 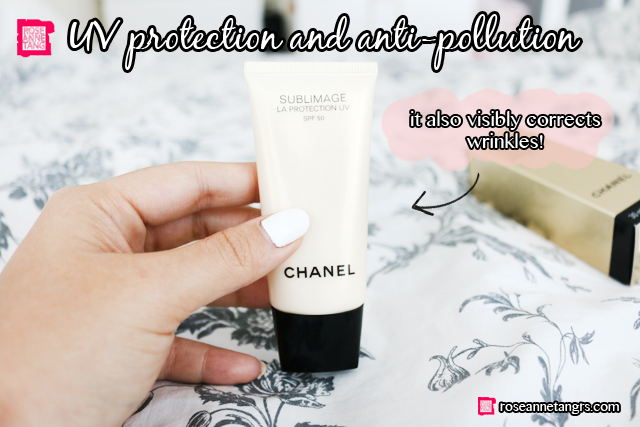 The Chanel Sublimage La Protection UV in SPF 50 combines both anti-ageing skincare and sunscreen into one with an advanced formula that targets DNA and the stem cell microenvironment. For anti-ageing action, Chanel has incorporated Vanilla planifolia, vanilla from Madagascar known for its regenerating properties that helps prevent the appearance of wrinkles while liquorice root extract lessens pigmentation and dark spots. 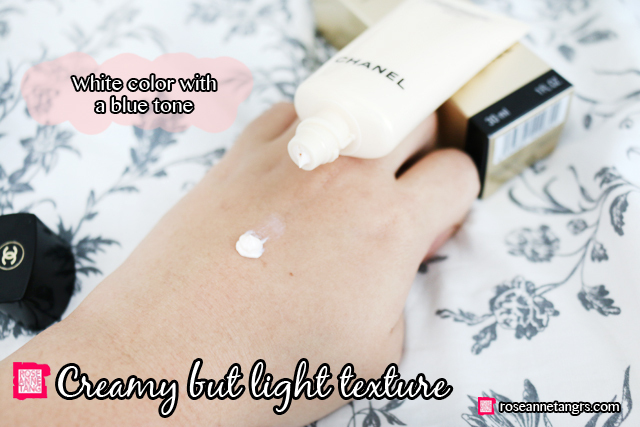 It is also known for its creamy texture that turns into a powdery matte finish after application. When you first squeeze it out, it does look like a creamy texture. In fact, it’s for sure something you don’t expect will turn into a matte finish at all. This makes applying a bit easier. One thing to note though is that you have to take a few seconds for the product to really blend into the skin. At first, you’ll get something like this pictured below. 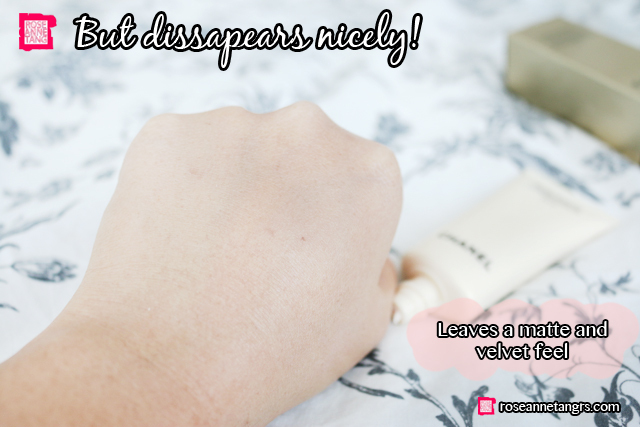 However if you massage it into your skin a little more, you’ll find that it does disappear into a powder matte finish. It just doesn’t happen immediately. In terms of leaving an overcast, there is a slight one but it doesn’t affect the look of my make-up at all. If you have darker skin though, the overcast may look a little more obvious. Overall, the sunscreen feels very light on the skin, almost not there which is very unique compared to other sunscreens I have tried that feel heavier, leave a deeper overcast and are oily. This one in comparison improves on all of those downsides of a typical sunscreen. Another thing to note though is because it dries to a matte finish, do not heavily rub your skin after the sunscreen has “dried” because it may result in slight particles. Just don’t put too much, you really don’t need to and you won’t face this problem. I just did an experiment so I don’t think its necessarily the case if you use it the way you normally would. Overall, the best thing about this sunscreen is how wonderfully light it feels and the powder matte finish that goes well under make-up. It’s also SPF 50 which is good for sunny places like here in Singapore. Thank you Chanel for sending this sunscreen over! My Organic Hair Colour Experience with Organic Hair Professional – Booked with Tab A Salon! I am also always looking out for a good sunscreen or BB cream with SPF50 there can be worn daily and a good makeup base.